A whole bunch of them apparently. From the trailer released today by Sega, it looks like there's going to be plenty to do in Japan to keep you busy between rounds of fighting the undead. Yakuza™: Dead Souls, this next iteration of the iconic Japanese series, is set in the infamous red light district of Tokyo, which is under attack from hordes of zombies. 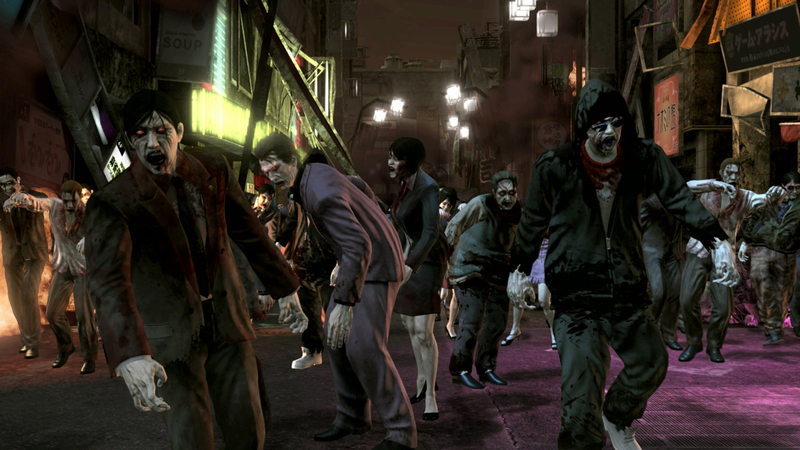 The game features gunplay for the first time in the Yakuza™ series, where everything from pistols, machine guns and rocket launchers can be employed against the zombie invasion. Players will not only face armies of the undead and incredibly powerful mutants, but a treacherous Japanese underworld that is just as merciless. Playing through the eyes of four of the most infamous characters of the series, witness allegiances shift quickly and the line between friend and foe lost. With all the depth and story of a Yakuza title, plus the addition of exciting shoot-outs and previously unplayable characters Ryuji Goda and Goro Majima, Yakuza: Dead Souls is worth dying for.